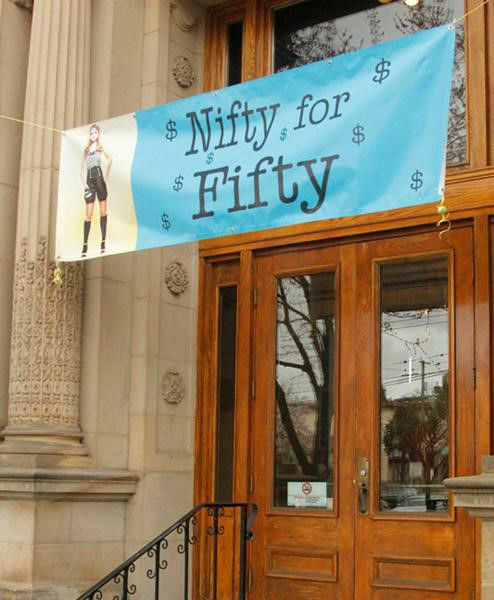 Sunday, April 19th 2015, the 8th edition of the annual Nifty for Fifty Sale will take place from 11 am to 8 pm at Heritage Hall on Main Street. Over 30 local designers and artists are going to show their products. The event’s name gives a clue; all products will be sold for under $50. Initially, the sale started out as a “glorified fashion garage sale”, but has become almost an ‘April Boxing Day’. “This sale is unlike any other in town, and it only happens once a year,” says the event producer Melissa Ferreira. It is recommended to be there early if you want to get your hands on the good stuff. The admission at the door is $1. And make sure to bring cash instead of credit or debit cards, as most vendors will only accept cash. Is it a dream of yours to study English in Canada? EC has an English school in Vancouver!